Welcome to Speckled Egg Dance! Speckled Egg Dance Company are eight dance artists living and working in Galway, in the West of Ireland. We work collaboratively, durationally and interdependently to make and perform our own dance works. 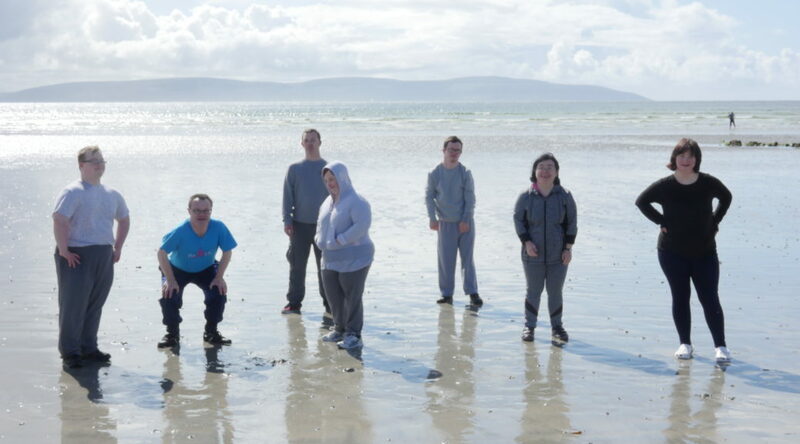 Our ambition is to be Ireland’s first full-time professional dance company for dance artists with Down syndrome. We work with Rachel Parry (artistic director) to make dances which reflect our experiences of life. Artistic integrity and excellence are central to all aspects of our work. Currently based on campus at NUI Galway, all of the Speckled Egg dancers are engaged in research into new ways of making dances (see our ‘Research’ page for more information). We take class together, choreograph our own dance works, perform regularly, and lead workshops both locally and further afield.